Inspired by art deco architecture, the Aston Dining Table will make a glamorous addition to any dining room setting. Crafted in Italy by skilled artisans, the table is finished with the finest materials. 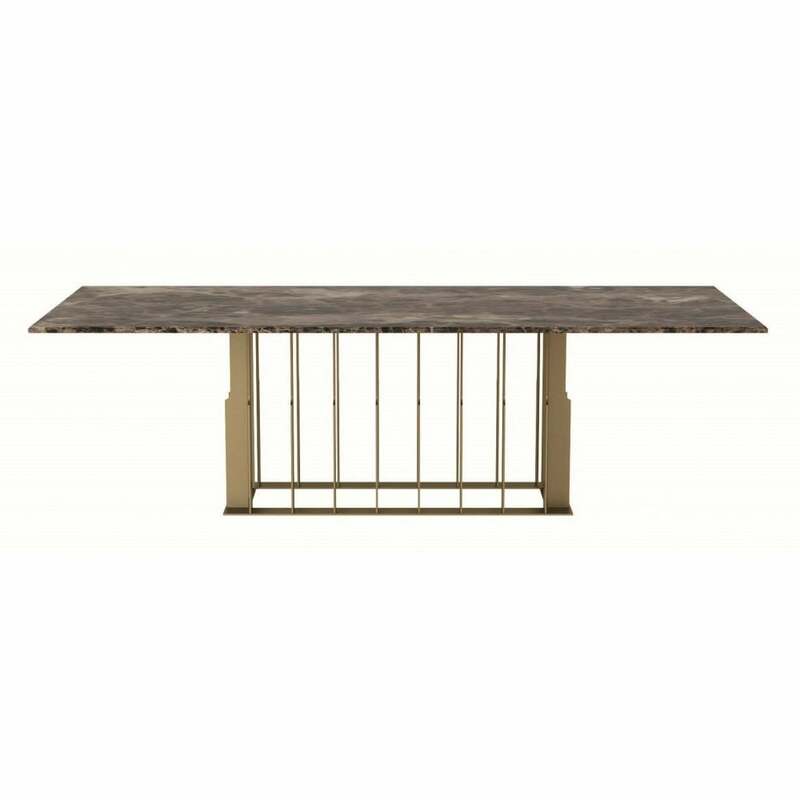 The Aston Dining Table features a cage effect, brass base with a emperador marble top. The structured base resembles the geometric lines and angles of the Chrysler building in New York. The perfect table for a chic city apartment, Aston takes style cues from the era of jazz, risqué fashion and heady cocktails. A stunning centrepiece for any dining room, we imagine parties and family gatherings around this timeless table. Aston will comfortably sit eight people, pair with the Hanna dining chairs for a cohesive scheme. Daytona presents a versatile dining table that can be changed through the seasons with your choice of tableware and flowers. Make an enquiry for bespoke options.